Culinary Historians of San Diego will present "The Food of Azerbaijan: History & Diversity," featuring Feride Buyuran. 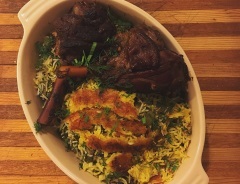 Buyuran will walk her audience through the evolution of the centuries-old Azerbaijan cuisine, highlighting the role of Silk Road in its formation and resulting diversity. 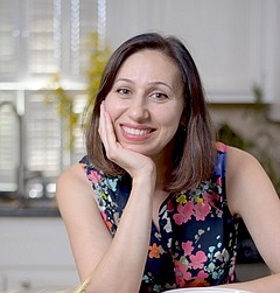 Feride Buyuran is an Azerbaijan native, now a Long Beach CA resident, whose mission is to connect people and diverse cultures through food. That led to her design of unique tours of her native country, the largest of the Caucasus region. Her passion for food also inspired her cookbook Pomegranates and Saffron: A Culinary Journey to Azerbaijan, which won Gourmand's Best Cookbook in the World, among other awards. She holds a Master's Degree in English Philology from the State University of Languages in Azerbaijan; and an MBA from Cal State Long Beach. Feride has lectured at the Library of Congress in Washington, DC; at the Los Angeles Central Library; and now, in the San Diego Central Library.